Weight management is a confusing topic. Hands down! There are terms such as calories, metabolism, and fat-burning. In order to maintain healthy weight we have to look beyond these terms and arrive at the underlying cause. Do I eat this way or that? Do I consume fewer calories? Do I ramp up my metabolism? If so, how? Or do I dare say the “E” word (exercise). Actually, once we acquire a basic understanding how fat storage increases and decreases, it will all make sense. Putting it into practice may be another story. Calories and metabolism do play a role in how the body uses stored fat as energy. 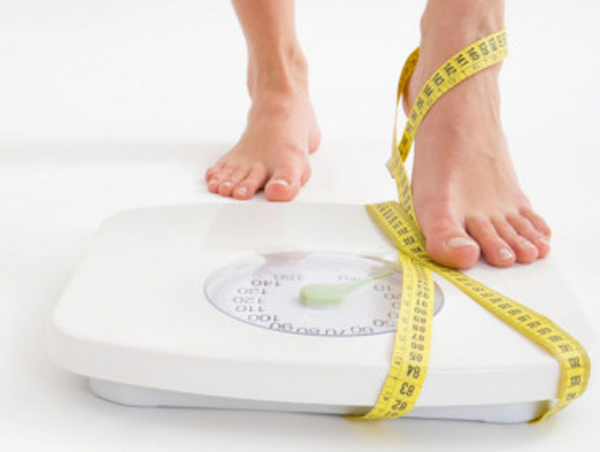 There is somewhat of a misconception that people have trouble losing weight simply because of their metabolism, or that they consume too many calories. To illustrate I'll use the "Steakhouse Analogy." You visit your favorite steakhouse. You order a nice, juicy steak, seasoned and cooked to perfection. Along side of the steak is a plain baked potato (minus the butter, cheese, and sour cream). The moderately portioned steak, let’s say eight ounces, has far more calories than the plain baked potato. The next morning you step on the scale and you’ve gained weight! If you were to blame the steak or the potato for the weight gain, it would likely be the steak because it has more calories than the potato. Calories in, calories out is pretty much myth. Calories were not created equal. Instead of looking at calories and metabolism directly, there is something powerful happening in the body that affects calories, metabolism, and weight gain–hormones. Hormones are messengers in the body that play a pivotal role in every single physiological process. Hormones are like a finely-tuned orchestra happening at all times in the body. Hormones directly or indirectly control everything that happens in the body, including fat storage. Insulin is a fat-storing hormone. It’s job is to look for glucose and store it away for a rainy day. All too often that that rainy day never occurs. Going back to the Steakhouse Analogy. The reason the plain baked potato is the culprit for the weight gain and not the steak is because the potato requires insulin where the steak does not. Hormones (such as insulin) control body fat the same way they control our heart rate, energy level, and body temperature. Obesity is a hormone imbalance. When hormones are in balance so is the proper percentage of body fat. Rather than look at calories and metabolism as a direct cause to weight gain, it’s actually hormones that affect your metabolism and caloric expenditure. Insulin levels are roughly 20 percent higher in obese people. As insulin goes up, the body weight goes up. We know that if insulin levels are low, the body has an easier time using stored fat as energy. As long as the pancreas secretes insulin, due to our diet, then the body will constantly store fat instead of using it as energy. The key to weight loss is hormone balance, more specifically, insulin balance. A low-carb lifestyle works very well, because it greatly reduces insulin output. Diet Doctor is a great resource to get started.